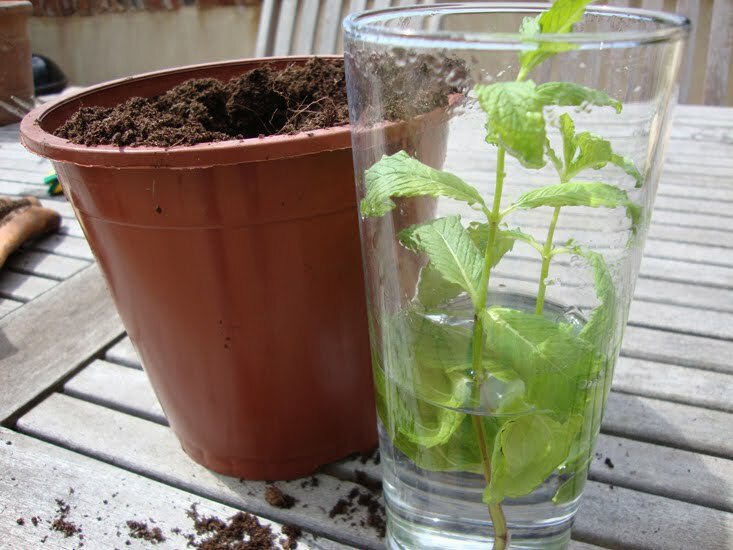 Did you know you can grow mint just by picking a sprig and putting it in a glass of water? I vaguely remembered reading something about it and thought I'd have a go, and so far the signs are good. ...then popped the pot into the ground. So finger's crossed for a thriving mint plant in the near future! Meanwhile it was time to try out another Cottontails garden tool, and this time I picked one of our watering cans. 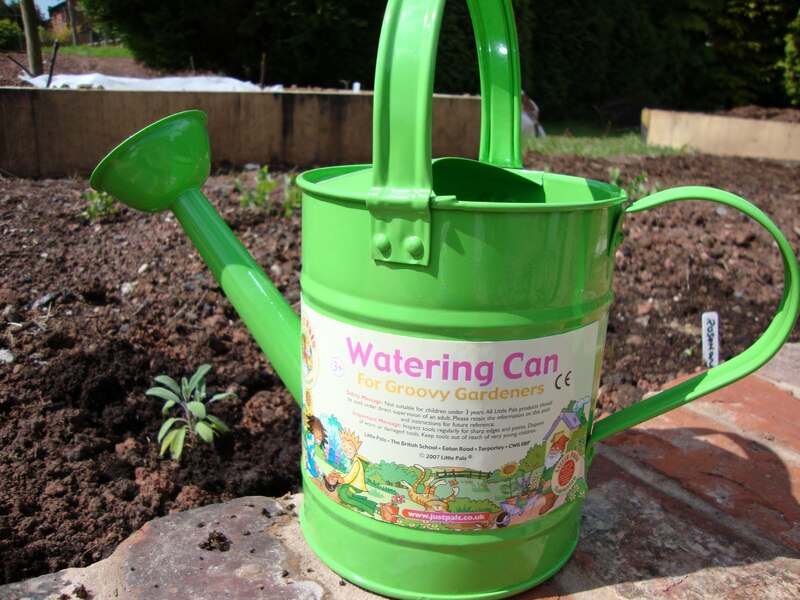 The Little Pals green watering can (£8) is one of three children's watering cans available at Cottontails and a very nice little thing it is too! 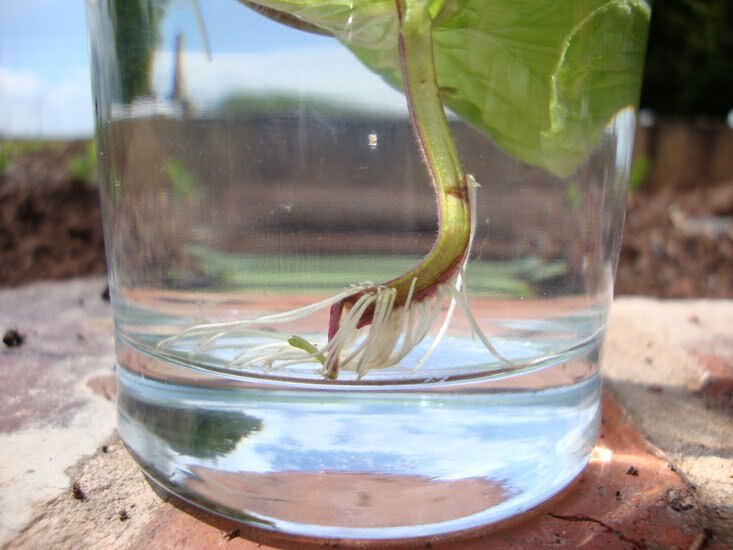 Small enough to be very quick to fill and light to lift when full, but holds enough water to be worthwhile. I also discovered it is quite handy for doing the watering in our little plastic mini greenhouse thingy (you know, one of those sets of shelves covered with some plastic) - there is not much space between the shelves and it's a bit of a challenge to squeeze in a full size watering can so this is just the job. You can do the same with lemongrass and spider plants. It's great fun watching them sprout roots. 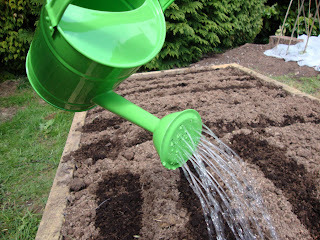 I love that green watering can. Can Humphrey eat mint? All the years growing mint and I never knew that. I like mint but it does take over. 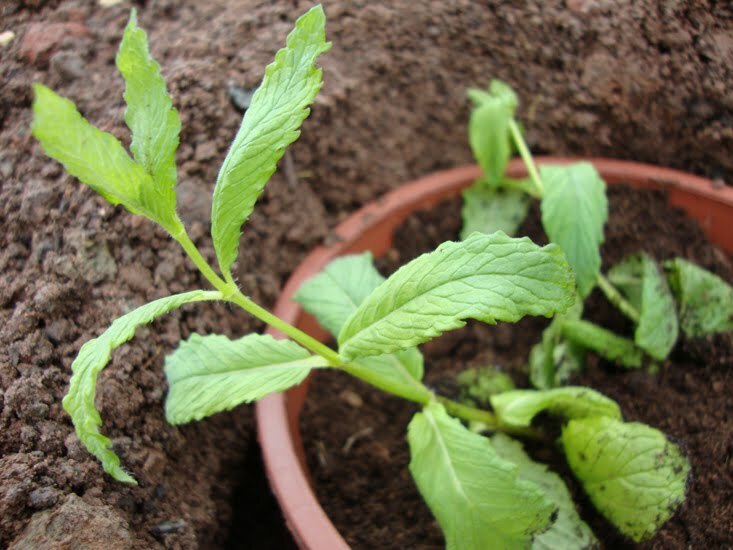 I planted spearmint around my patio and it goes crazier every year but very good for a bunnies upset stomach. Send us mint and we'll send you spider plants!!! !